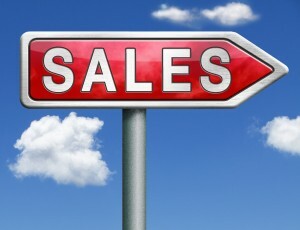 The Top 10 Sales Mistakes Coaches Make… And How To Avoid Them! Do you know the #1 most important skill that a coach must have to be successful? It’s the ability to enroll new coaching clients. In a word… SALES. And unfortunately a lot of coaches are making sales mistakes (some big, some little) that results in fewer new clients. => The secret for getting people who seem interested in your coaching to schedule time with you to learn more. => What you need to focus on when you meet with a potential client in order for the person to hire you. => Why so many coaches fail to convert more prospects into paying clients and what you can do to get better results. => The “Magic Question” that gives you permission to coach the person through any objections or concerns they have. Click here and Get Instant Access to the Webinar Replay for a Limited Time – No Opt-In Required. We recently opened the doors to the C&GR Client Enrollment for Coaches Program. This group coaching and training program is specifically designed to help you attract and secure a lot of new coaching clients quickly and gain real momentum as you build your coaching business. The C&GR Client Enrollment for Coaches Program Starts July 10th. You can still get in on the Early Registration and SAVE $500. Get the full scoop on the C&GR Client Enrollment for Coaches Program here. Enjoy the webinar replay and hope to see you in the Client Enrollment Program.